Wondering how I can help you specifically? Do you already have a list of technical questions that you need someone to answer? Need to register a domain or get affordable website hosting? I hear you and am ready to answer all of your questions. While I can’t answer your questions to the meaning of life or if Sheldon and Amy will ever have babies, I can let you know how 4b can make work life a little easier for you! 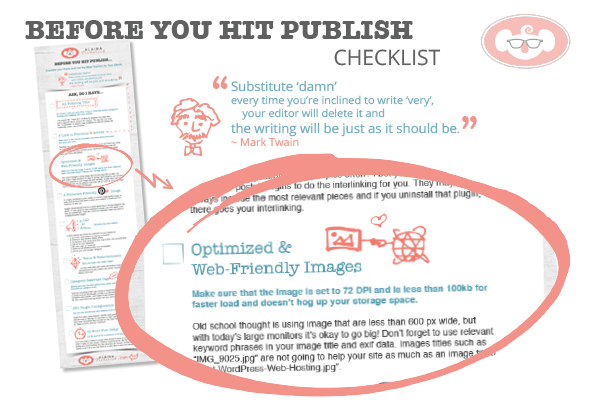 Download Your "Before You Hit Publish" Checklist Now! Simply enter your name and email address and I'll send you the checklist and tips to take your website and blog to the next level.